Simple File Annotator is an application, that allows you to assign text annotations (descriptions) to any kind of file within a single folder. 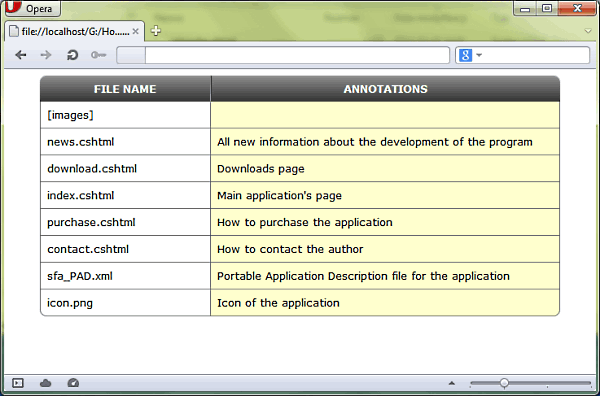 Annotations are joined with files either by name, or directly by its contents. 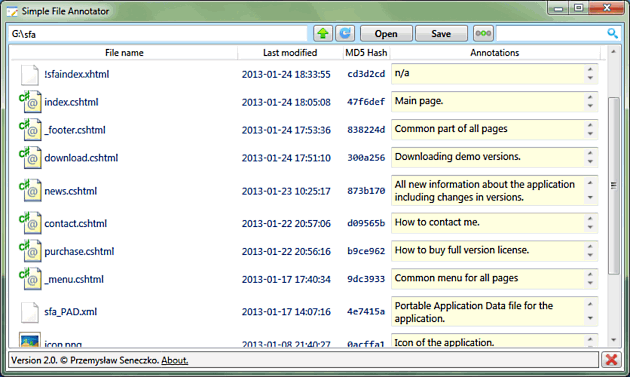 Consequently, it is possible to match annotations correctly even, if the file name is changed. It is a tool, that can be used in many different ways. Chances are, it could change the way you think of organizing files on a hard drive. Information are saved in XML text format, therefore it is possible to open and edit them in any pure text editor e.g. Windows Notepad. Additionaly, the format is adapted to be opened in a web browser. 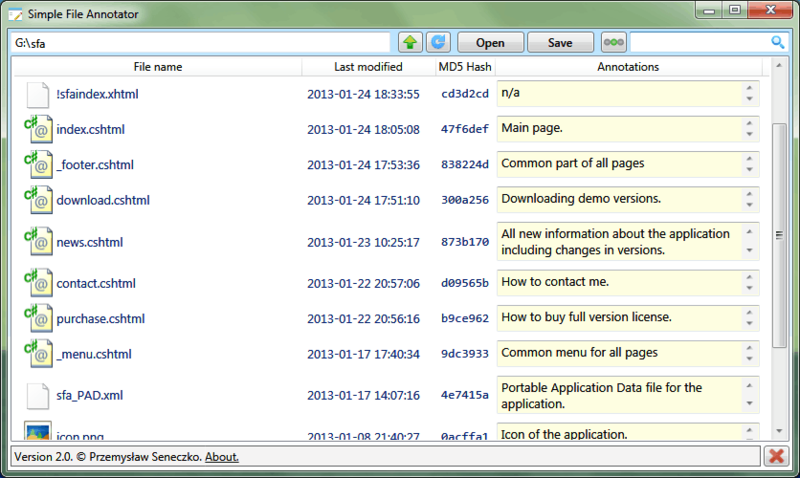 Covenient, tabular view of files and their matching annotations is displayed then. Owing to the aforementioned features, one can easily read and edit information stored with Simple File Annotator using other applications and even running other operating systems than Microsoft Windows. Link to sample annotations file, to be displayed in Firefox, Opera or Chrome. On this web site, in Download section, there is trial version of the application available. Its only limitation is displaying up to three files within a directory. The sole purpose of demo version is to try and explore the application before making a decision of purchasing it.